There is no better stage to showcase sportswear than the world&apos;s most-watched sporting event-- the FIFA World Cup -- and Taiwan has as in past World Cups taken advantage, even if in relative anonymity. At least 15 of the 32 teams competing at the World Cup, including Belgium, Brazil, England, Egypt, Germany, Japan, Sweden, and Saudi Arabia, were equipped with uniforms made of innovative fabrics from Taiwan, according to Taiwan&apos;s Industrial Development Bureau (IDB). The tournament places huge demand on uniforms; jerseys have to provide great fit, breathability, moisture resistance and sweat regulating properties while offering maximum comfort and mobility, and Taiwan has apparently met the challenge. "Taiwan is the most favored country by sportswear giants such as Nike, Adidas, Puma, and Under Armour when they source workout fabrics," Huang Po-hsiung, head of the Department of Products at the IDB-affiliated Taiwan Textile Research Institute (TTRI), told CNA. The big brands have long outsourced most of their products to Taiwanese-owned ODM (original design manufacturers) or OEM (original equipment manufacturers) suppliers because Taiwan is recognized as the place to go for functionally advanced textiles, Huang said. It also helps, he said, that Taiwan&apos;s manufacturers promise sustainability in the production process. 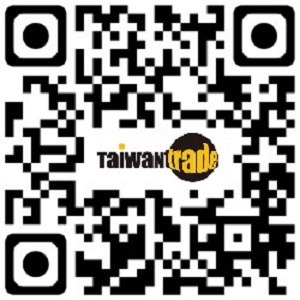 In recent decades, Taiwan&apos;s apparel industry has relocated most downstream production bases overseas and gradually also moved upstream and midstream manufacturing operations abroad, while focusing on research and development (R&D) at home. 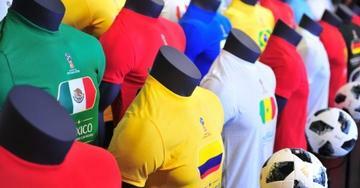 According to the TTRI&apos;s Huang, upstream producer Shinkong Synthetic Fibers, midstream suppliers Fu Hsun Fiber and Men-Chuen Fibre and downstream producers Eclat Textile Company and New Wide Enterprise were also involved in manufacturing the 2018 World Cup jerseys. Beyond uniforms, several Taiwanese-owned footwear makers, such as Pou Chen Corp, Feng Tay Enterprise, and Ching Luh Group, which are long-term suppliers of Nike, Adidas and other major brands, manufactured cleats for players at the 2018 World Cup, the IDB said. Frank Hsu, vice president of the only body paint manufacturer in Taiwan, said demand for the product began to explode a year ago because of the 2018 World Cup, especially from European countries, and reached about 5 million sets for the 2018 World Cup alone.